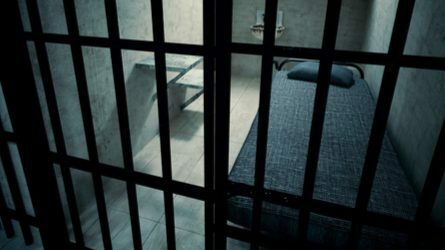 Trigger warning: this post discusses mental illness, suicide, abuse, violence, and incarceration. My name is Eldorado Fleetwood Cadillac Brown. I was raised in a broken home household while battling mental illnesses that doctors continuously prescribed medications for. The traumatic events that transpired during my upbringing only became the normality of my environment; domestic abuse and gang violence enveloped my childhood. I was expected to fall in line with the negativity of my environment. I had no voice. All I could do was be a kid and live the life I was exposed to because I knew nothing else. When I was growing up I wanted to do so many different things with my life, but I became too caught up in the moments of street life. I started to find my voice by becoming a “hood-star,” a “street-celebrity,” and earning the reputation that would make me the center of attention wherever I went. As the years went by, my mental illnesses transformed into other diagnoses that stemmed from my exposure to the negative lifestyle I was living. Then, in my adolescence, I ended up incarcerated inside juvenile prison. At first, I was totally unaware of my rights. I knew nothing about the Americans with Disabilities Act, and I became lost in a cloud of self doubt and couldn’t manifest the energy to continue the struggle. When I moved to adult prison, I had zero support from the Washington State Department of Corrections, and when I asked for help, their psychologists deemed me malingering. While incarcerated, I have experienced several mental health episodes and I have made multiple suicide attempts. During these experiences, I faced severe abuse and neglect by prison staff. They made fun of me and gave me objects to engage in self harm with. They said I was a behavior problem and breaking the rules. They punished me for my suicidal actions and gave me more time in prison. Over time, my story gained the attention of disability rights advocates across the nation. The Department of Corrections has finally recognized my mental illness, and I have since been able to work with mental health doctors. However, I am now only days away from my release date back into the community with the expectation to successfully re-enter society and the Department of Corrections has yet to provide me with connections to any type of community mental health help or assistance for my transition back into the community. Right now in prison, I meet with a mental health professional weekly and I have immediate access to mental health staff when I have concerns. But where am I supposed to go to receive mental health treatment and counseling upon release? The doctor made sure they give me the name of the probation officer I’m supposed to report to, but I still haven’t gotten a name of a psychologist I’m supposed to meet on a weekly basis once I’m out. This approach is inadequate and placing me in a dangerous situation. Why is a plan not in place to help me continue the mental health treatment I’m currently receiving? There are huge expectations for me to rise head and shoulders above every obstacle that has been in the way of me achieving the success I’ve started to envision since the inception of my transition back into the community. I know I came from one of the harshest environments out there and yet I still remain optimistic. I’ve been putting together an extensive plan for the future and I’m going to use my platform to speak out and raise awareness. I am ready to take a stand against the abuse and neglect that transpires inside the prison system. 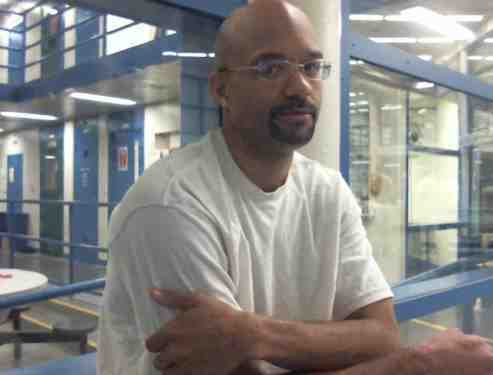 Eldorado Fleetwood Cadillac Brown is the founder of The Incarcerated Truth. His story is featured in "On The Outs: Reentry for Inmates with Disabilities," a short documentary produced by the Amplifying Voices of Inmates with Disabilities (AVID) Prison Project.